On Saturday, May 19, 2012, we drove the remnant of the West Valley Highway known as Washington State Route 181. 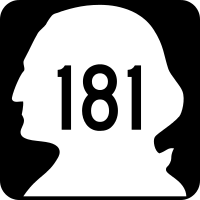 SR 181 is theoretically a branch of SR 18, but the twain don't meet. 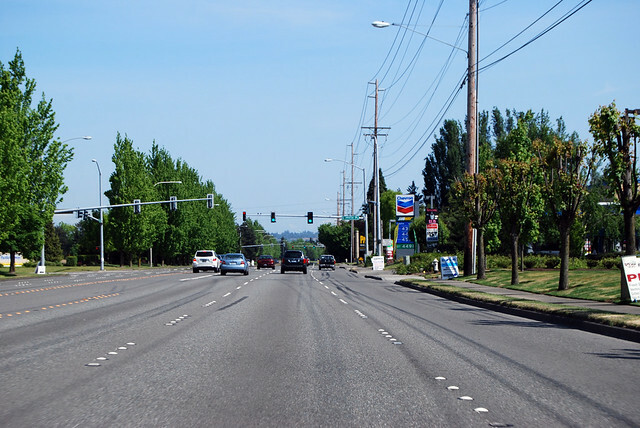 The Auburn-Kent portion of Highway 181 was removed a couple decades ago, so SR 181 begins just past where milepost 5 used to be, at this junction with SR 516. We leave the western edge of the heart of Kent behind and head into the light-industrial area once the farmland around O'Brien (a name few people would recognize anymore, except for Neely-O'Brien Elementary). Just past 204th Street, we reach the approximate halfway point of SR 181, illustrated above. Exciting! Soon we bump up against the right bank of Green River. The highway thankfully bends to stay dry. Welcome to Tukwila. "Tukwila... You Know, Southcenter" is their slogan, right? 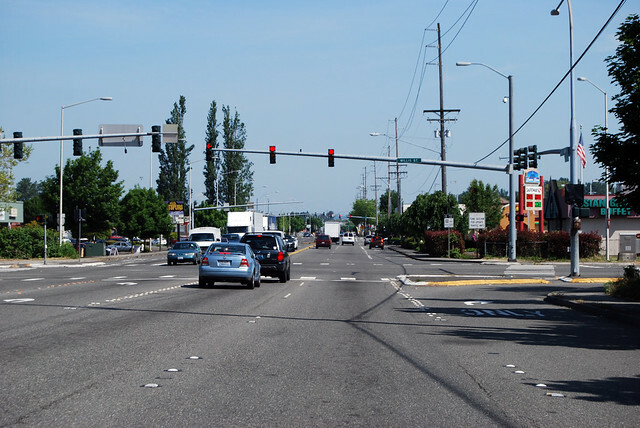 At long last, we reach the end of SR 181 at this junction with I-405. 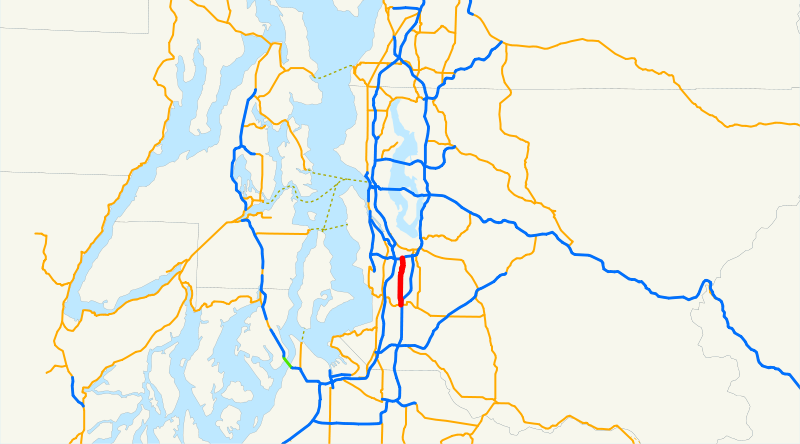 What happened to the north section of 181 that went up to E. Marginal Way (SR99)? 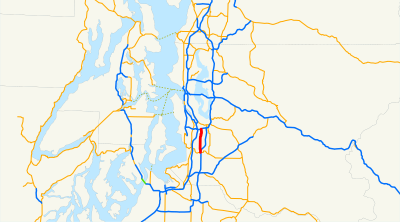 What happened to the south section from 516 to Sumner? In the 1970s, the northern end was shortened (in three steps). The southern end was shortened in the early 1990s. 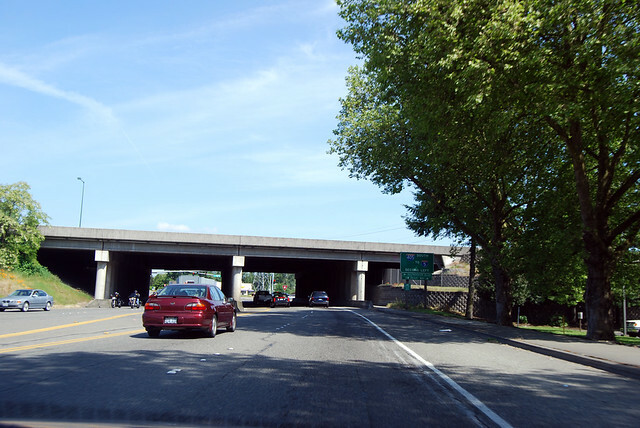 This site has a lot of historical info for the highways of Washington.